batman404 wrote: Got the plat for this today. A fun game for sure, and there's lot I liked about it, but it could've been so much better. EDIT: There are so many more characters I woulda liked to have seen in this game. I made a list of the ones that came to mind. So many missed opportunities, and surely I missed some. I did a smaller list in another thread, but I thought of a bunch more. A Mogo hub planet would've been nice too. But didn't you know how much more important it is to have Conan O'Brian and Geoff Johns? Who would want to play as Batwoman or Alice or Hawkfire or Wildcat or Damian or Carrie or any of that when you have Jim Lee to play as? now I know its mainly a justice league game but its called Lego Batman 3, so where's all of the batman characters, I remember having lego batman 1 on the ds and there was Hugo strange, black mask and azrael. there is even any of them in 2 or 3. Not only that, if they are going to do a justice league lego batman game, at least bring in some decent characters like in that list, mirror master, ras al ghul even!! instead we have Kevin smith and Geoff johns (no disrespect to them) but them characters are wasting spaces. I just hope they have a heroes and villains pack to fix this. 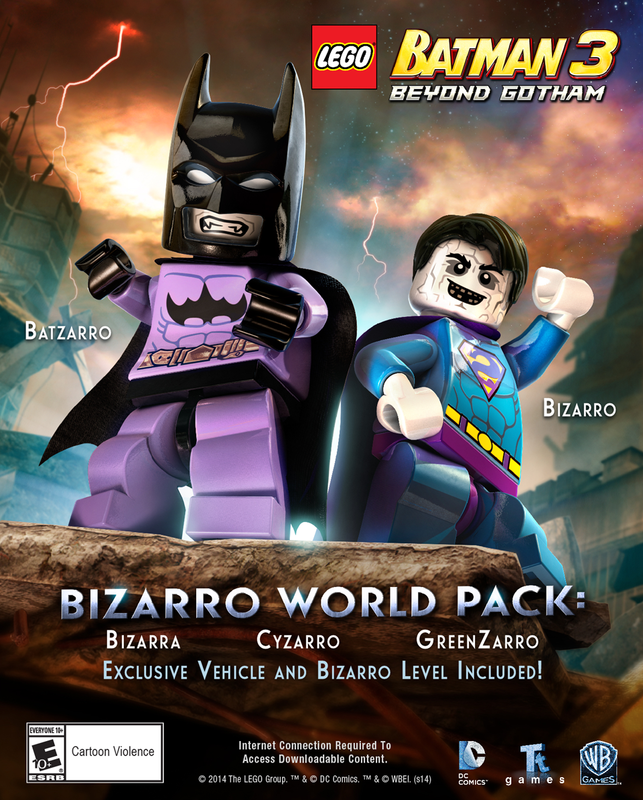 Get ready for the Bizarro World DLC on Feb 17!! SasukeUchiha93 wrote: Get ready for the Bizarro World DLC on Feb 17!! Curious is this free with the Season Pass? Guess Ill get back on LB3 Now ! 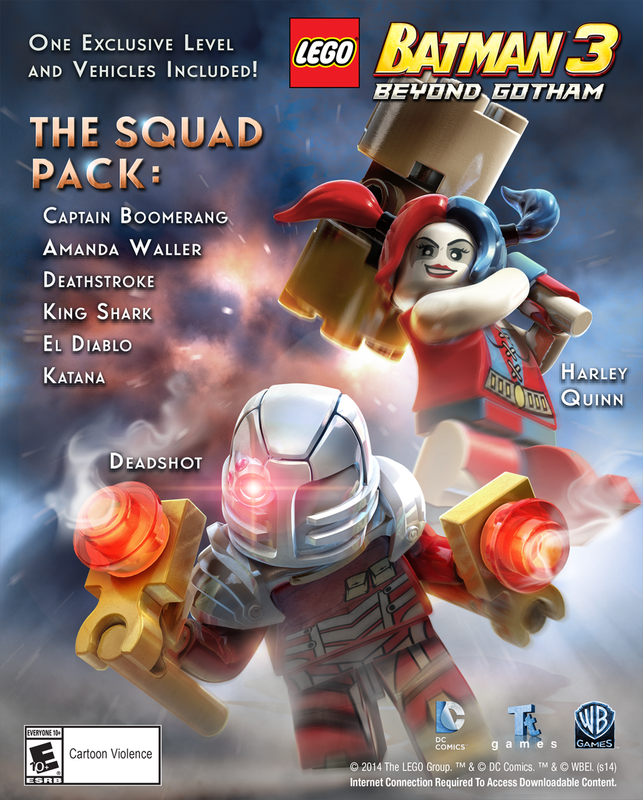 @LEGOBatmanGame is ready to send in #TheSquad with new DLC on March 3. Going to buy the Gold Edition of this today.